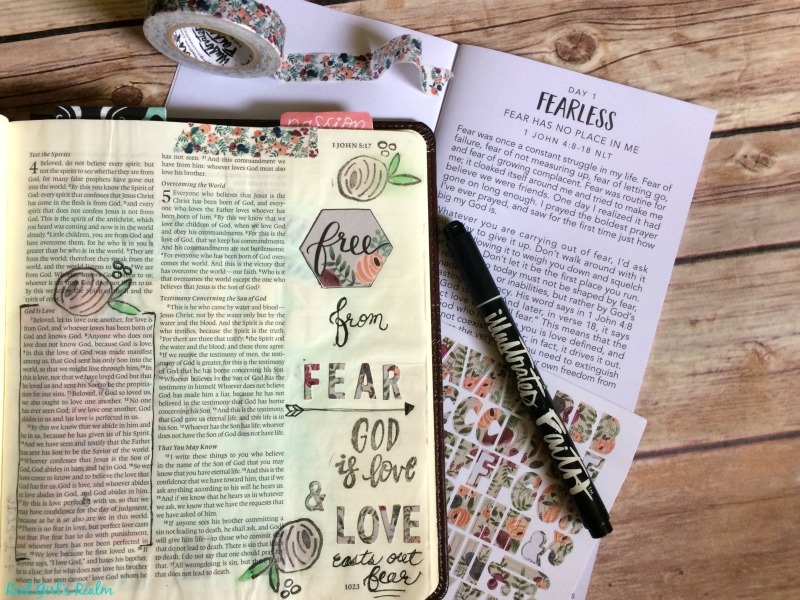 I am back with this month's Illustrated Faith Devotional Kit! I always look forward to receiving this devotional monthly. It helps keep me on track and keeps me in the Word since everything I need is included in a cute little bag! Get an up close and personal view of all the goodies in my unboxing video on YouTube! 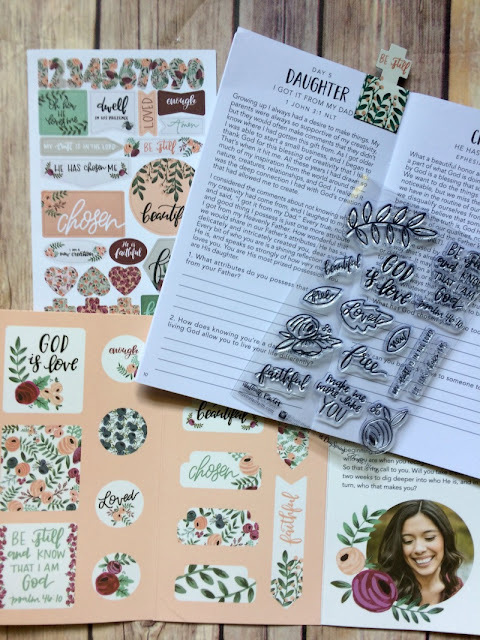 This month's 14-day devotional kit is titled "I Am" by Melissa Garcia and it talks about how understanding our identity in Christ is the key to fulfilling our dreams. I can really relate to this devotional because I have recently taken a leap of faith to follow God's call on my life. The title of Day 1 is "Fearless" and I immediately related to Melissa's story. The last few years, I had become "stuck" and just going through the motions in my work life and church life. When asked to chaperone the annual youth camp trip, I decided to put aside my fear, step out of my comfort zone, and see what happened. A fire was lit in me and I prayed the scary prayer for God to show me what he wanted me to do with my life. Fast forward to today, I took a giant leap of faith and quit my comfortable full-time job to be the part time Office Manager at my church. This verse really resonated with me because after I really let go of my worries and fear of not being financially secure, I felt such a sense of peace that the Lord would work it out and provide...and he did! 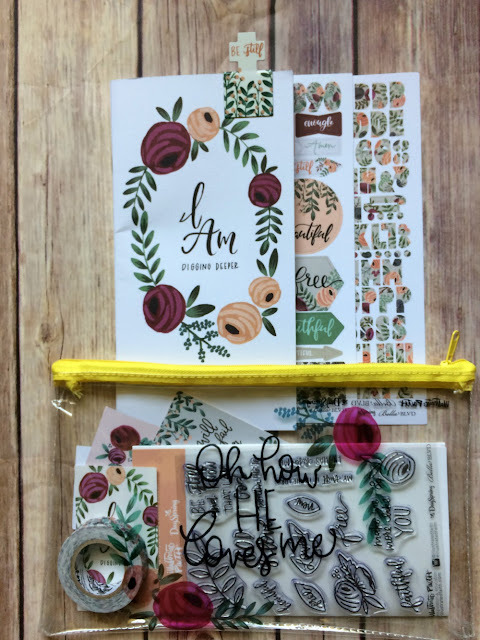 If you create any entries using this kit, make sure you post on social media with the hashtags #illustratedfaith, #DaySpring, and #if_Iam so I can see it! I would also love it if you would follow me on Instagram for more Bible Journaling inspiration. 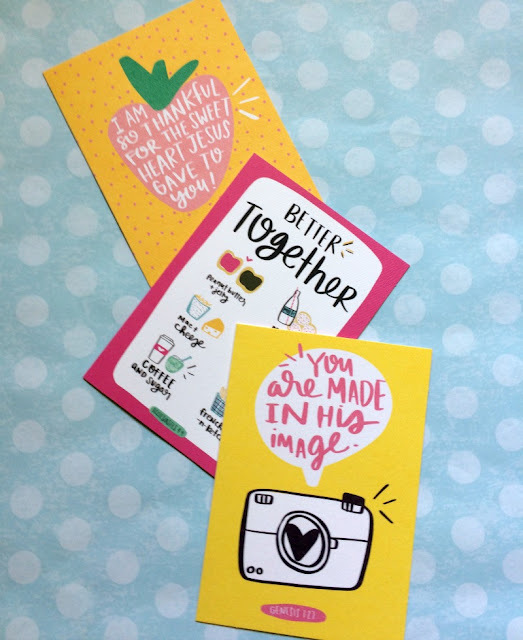 I also received a little bonus in my happy mail this month...greeting cards designed by Shanna Noel, creator of Illustrated Faith! I am guilty of not sending snail mails cards often enough, but with cute cards like this, I may have to change that! Initially, DaySpring will offer a pack of 10 cards in a colorful zipper pouch for $20. There will only be 100 of these zipper pouch sets available, but the individual cards will be available for $2.99 a piece. 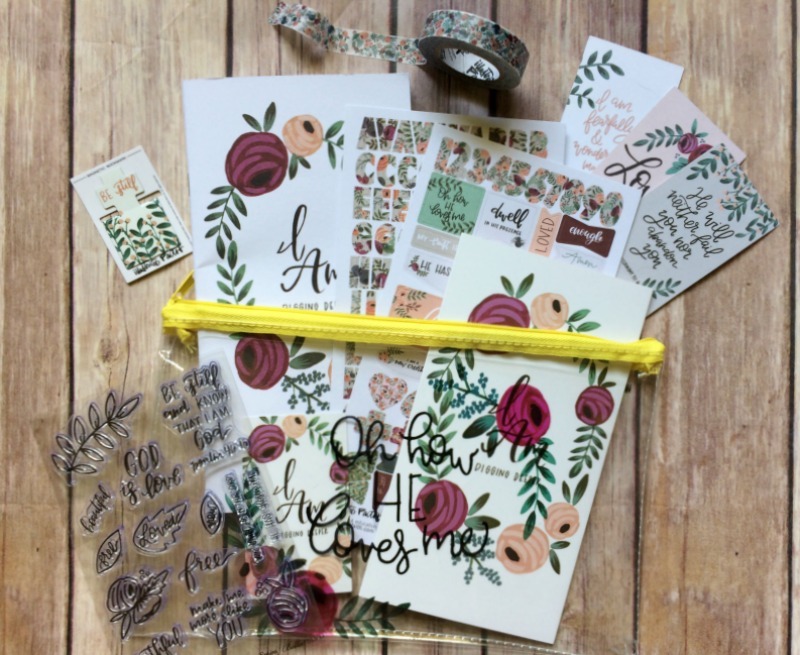 Check out this Illustrated Faith YouTube video to see all of the designs! This year, we began a birthday card ministry at my church and every Sunday, at least 1 person tells me how much they appreciated their card and encouraging notes from the staff members. You never know what someone is going through and a card with an uplifting message may turn their day around! These are now available for purchase along with the new I Am kits at DaySpring.com. 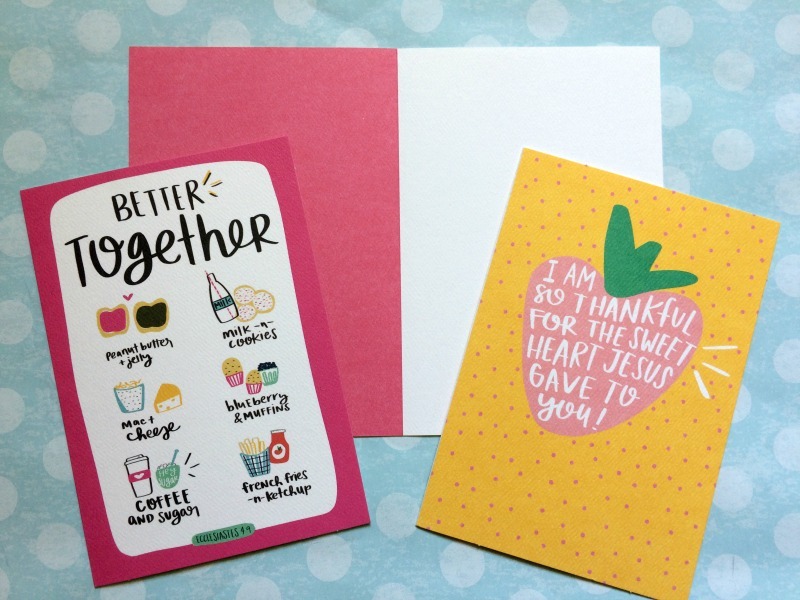 Make sure you are subscribed to my emails because I have a giveaway planned for a 3-pack of Shanna Noel's cards so you can send a note of encouragement to someone in your life! Is there someone in your life that could use one of these cards? 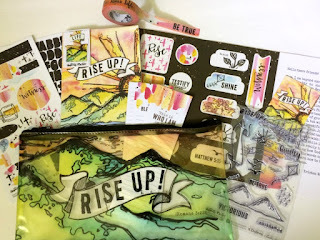 Before you leave, check out last month's kit that I am currently working on, called "Rise Up!" I love that 'You are Made in his Image' card. I am sure these cards are appreciated! Some people just love receiving meaningful cards. Wow, you get a lot in the Illustrated Faith Devotional Kit!! The cards are so cute! And yes, The kits are amazing! 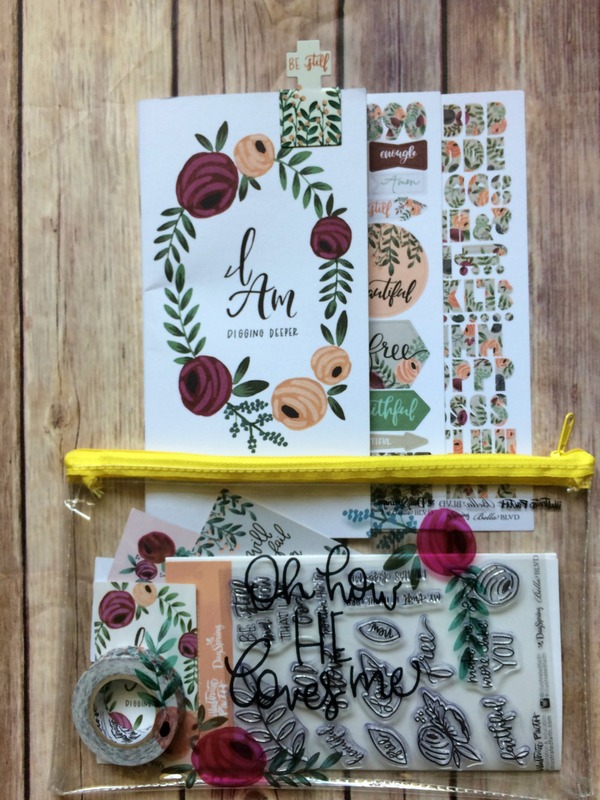 Another great kit from DaySpring! Love this one!